An early post this week so you can be sure to enjoy the holiday tomorrow. If you’re looking for that last blast of summer here’s the “Classic Pina Colada” for you. I shouldn’t even have to talk about this one. Light in texture and flavor. Pineapple and Coconut mixes perfectly with 2oz of rum that you can’t even tell is there. Need a smoothy? Drink this! Combine ingredients in a blender with ice. Serve in a BIG glass. Garnish with a maraschino cherry. 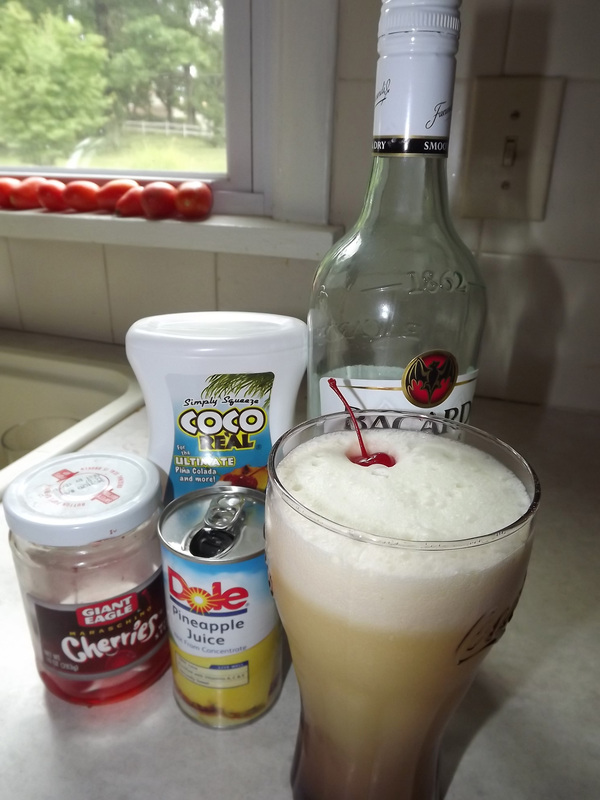 Today’s cocktail is a very interesting mix with some dark rum (then again it may depend on your choice rum). It’s dark sea foam green color adds intrigue and mystery as a start. 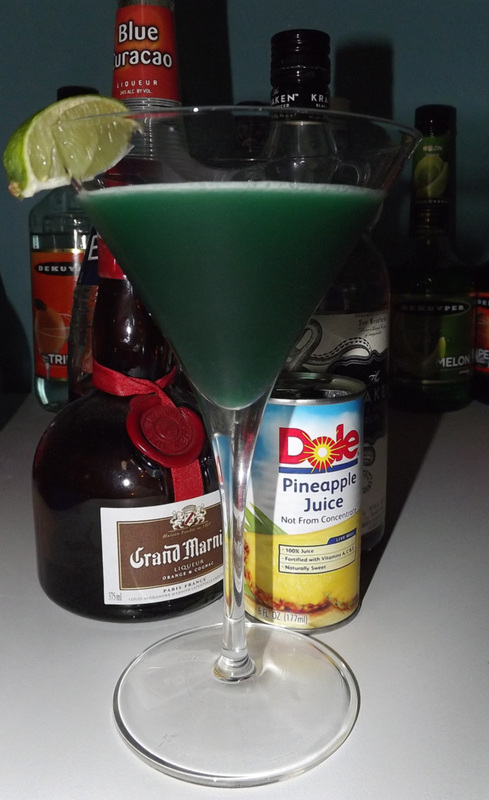 It has a pleasant pineapple aroma and the lime garnish makes for a rather inviting mystery. It starts light and sweet, moves quickly to a citrus mix, then to a stiff spiced rum finish. It’s pretty good overall, but it is equally mysterious in taste and looks. Shake and Strain into a chilled cocktail glass garnish with a lime wedge. Well as long as we still have a full month of summer, let’s keep the tropical drinks flowing! The Trade Winds is a wonderfully aromatic cocktail with citrus and raspberry notes. It has a dark and mysterious burgundy color with an inviting lemon twist within. 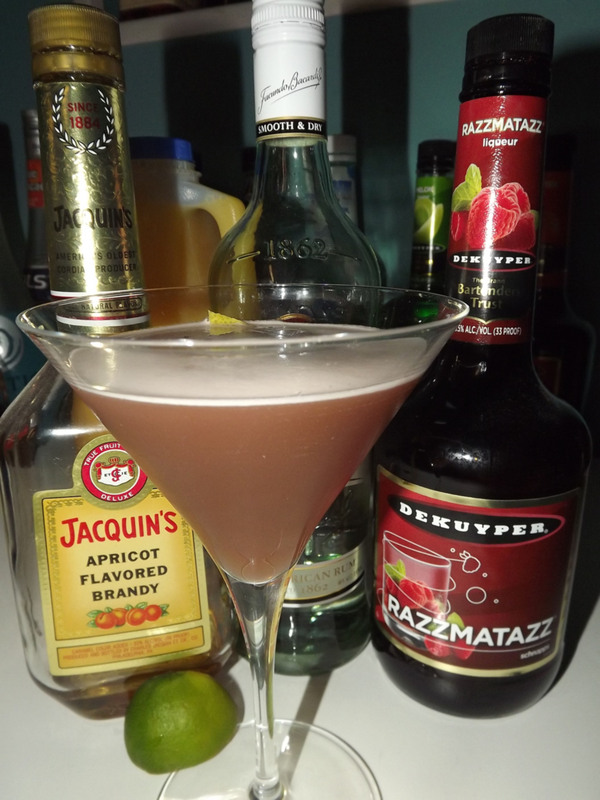 The drink starts sweet, moves to a tart raspberry, then finishes with a sour brandy flavor. A great sweeter drink and well balanced it’s easy to recommend as a light starter. Shake and strain liquid ingredients into a chilled cocktail glass. Garnish with a lemon twist. Well today’s drink some may call a visual masterpiece, others might just call it very frightening. 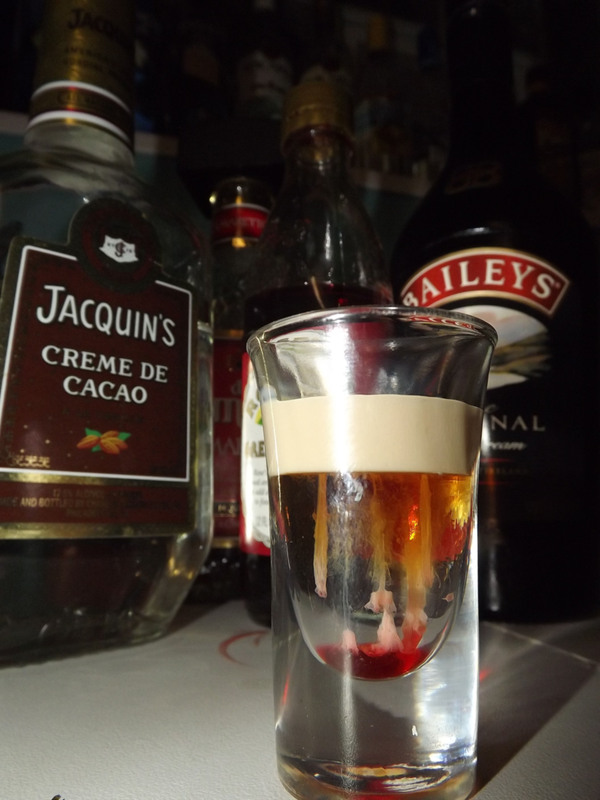 If you are familiar with an “Alien Brain Hemorrhage” this drink follows a similar path. Built in a presenation shot glass, this is one to build in front of your guests as the grenadine trickles down taking some Irish cream with it. A relatively mild shot given the lack of any major spirit, it’s a strange flavor mix of Irish cream, almond and sweet. I certainly wouldn’t call this a “solid drink,” but if you want to impress your friends on presentation (and not so much taste) this will certainly do the job. 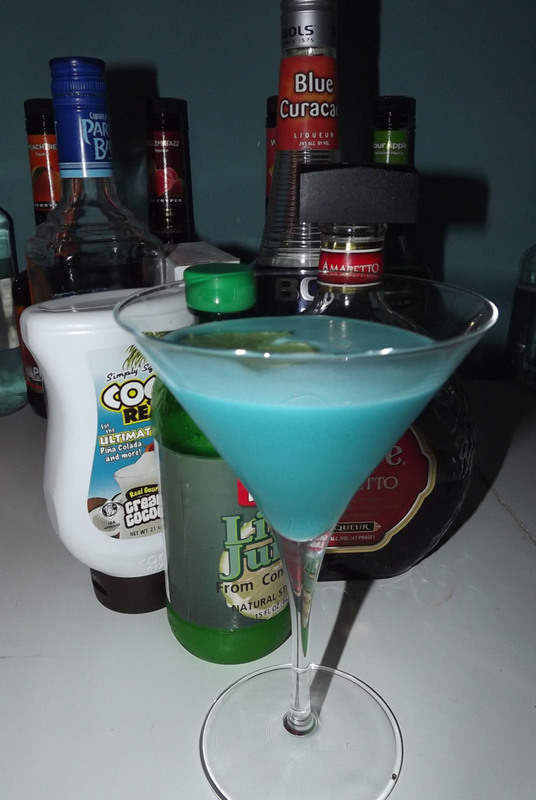 Today I bring you one of the best drinks I’ve had since the ” ‘57 T-Bird with Arizona Plates.” The Tidal Wave has great presentation and a very inviting coconut and almond aroma. It starts tropical and sweet, moves to a stronger coconut kick, then finishes with a more alcohol amaretto and sour bite. It’s not often you get such a great mixing of flavors across your palette, but this drink delivers in every respect. On my next menu revision I’ll be doing a section of “seasonal favorites” and this is sure to make the list! Shake all liquid ingredients with the sugar with ice. Strain into a chilled cocktail glass. Garnish by floating a lime slice on top.